Credit: WHOI/Heidi Sosik. Download this image (PNG, 1.2 MB). [18-Jun-18] During the EXPORTS campaign, the Imaging Flow Cytobot will give scientists a continuous view of plankton diversity in the northeast Pacific. 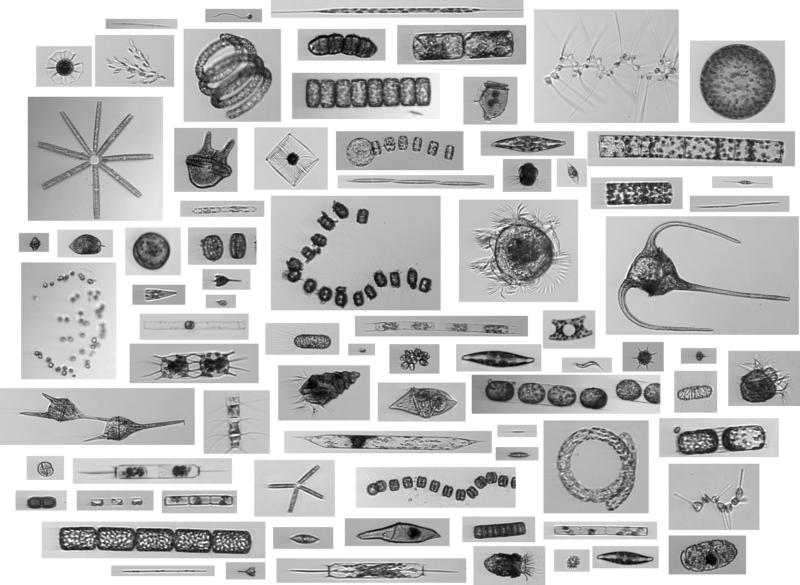 This collage represents just a small number of the different plankton types that inhabit Earth's ocean. Specialized instruments, adapted from biotechnology and used to count and sort blood cells, captured these images of cells in seawater.